Earl Ernie Stuedemann, 71, of Plato, died Saturday, Sept. 17, 2016, in an accident near Plato. Honorary casket bearers were Mr. Stuedemann’s grandchildren, Brock Warren, Grant Warren, Nolan Stuedemann, Alexis Peterson and Jordan Peterson. Casket bearers were Dallas Stuedemann, Darvin Heldt, Kevin Stuedemann, DuWayne Stuedemann, Dale Krienke and Paul Krienke. 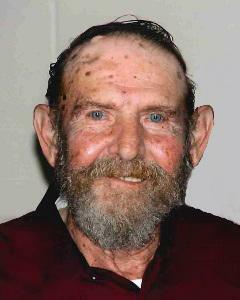 Earl Ernie Stuedemann was born Nov. 21, 1944, in Glencoe, the son of Albert Sr. and Lillian (Dierfeldt) Stuedemann. He was baptized as an infant on Dec. 10, 1944, by the Rev. H. Schaller, and was confirmed in his faith as a youth on May 4, 1958, by the Rev. Plocher, both at St. John’s Evangelical Lutheran Church in Helen Township, rural Glencoe. He received his education through the eighth grade at St. John’s Evangelical Lutheran School and then went to Glencoe High School. Mr. Stuedemann met his best friend, Kathleen, on a blind date. On Oct. 5, 1963, he was united in marriage to Kathleen Louise Hasse at Zion Lutheran Church in Mayer. The couple made their home in the same white house with the blue trim in Plato for the past 51 years. Their marriage was blessed with two children, Pamela and David. They shared almost 53 years of marriage together. Mr. Stuedemann was constantly busy. He held several different jobs, including Bongards Creamery, Northern Culvert, Voight Movers, Selchow Hardware, Glencoe Butter & Produce and Medallion Cabinetry, but his heart was always on the farm and in the woods. When on the farm, he enjoyed helping with the little animals being born. After work, Mr. Stuedemann would help family and friends with farm and field work, or take his chain saw and find a tree that could be turned into firewood. His work ethic and need to get things done the right way was second to none. He was a lifelong member of St. John’s Evangelical Lutheran Church in Helen Township. He also was a member of the Plato Fire Department for 20 years. Although not a sports fan initially, he became one by supporting his children in their activities. He could be quite vocal watching a game on television with his wife. His pride and joy were his grandchildren and he played whatever game they wanted him to play, including Uno, croquet, playing at the park, or pitching baseballs to them. All his grandkids were “Sunshine” to him. He loved to listen to them talk about their activities and he kidded around with them like only a Grandpa can. He tried to instill his love of polka music in his children and grandchildren. He is survived by his wife, Kathleen Stuedemann of Plato; daughter and son-in-law, Pamela and Steve Warren of Wausau, Wisconsin; son David Stuedemann and Heidi Rivers of Shakopee; grandchildren, Brock Warren, Grant Warren, Nolan Stuedemann, Alexis Peterson and Jordan Peterson; siblings and their spouses, Albert Stuedemann Jr. and his wife, Mary Voss, of Glencoe, Gilbert and Pearl Stuedemann of Gaylord and Carol and Dennis Heldt of Lester Prairie; brothers-in-law and sisters-in-law, Kathryn and Willard Stender of Young America and Cherryl Lynn and Daryl Krienke of Lester Prairie; nieces, nephews, other relatives and friends. He was preceded in death by his parents, Albert Sr. and Lillian Stuedemann; infant sister, Dora Stuedemann; sister and brother-in-law, Shirley and Willis Stuedemann; and father-in-law and mother-in-law, Wilford and Sophie Hasse.